The cornerstone of Prairie Technology lies in its employees. Fiercely committed to the principles of quality and integrity, the staff takes great pride in the design and manufacture of our top quality product line. 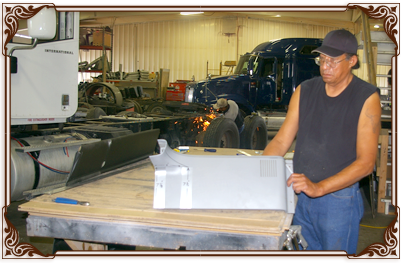 This elite group of technicians, body experts, assemblers, quality control personnel, and administrative professionals create, produce, distribute, and sell the best kits and accessories for day cab conversions in the marketplace today. If you are in the market for a day cab conversion kit or a top quality after-market parts, give us a call or email us for more information. We are confident that we can deliver the best product at the most competitive price in the market today.